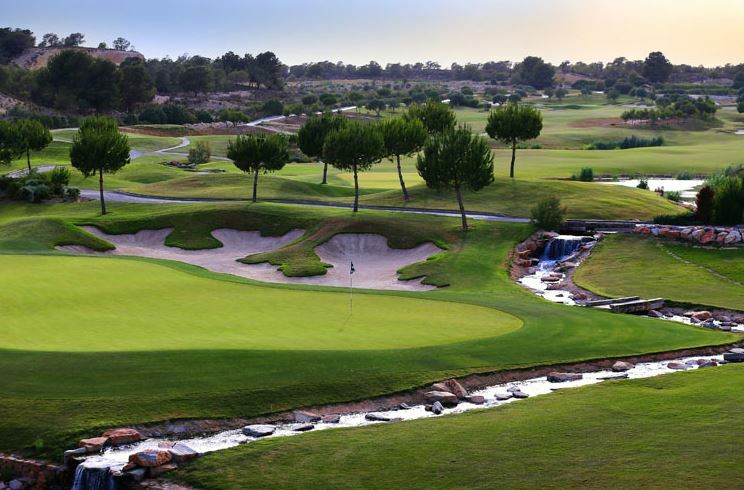 If you’re looking for a hotel with golf courses for your holiday, Hotel Bonalba Alicante is just the perfect choice for you. Our hotel is strategically situated only 200 yards from the 1st tee of the Bonalba Golf Course. 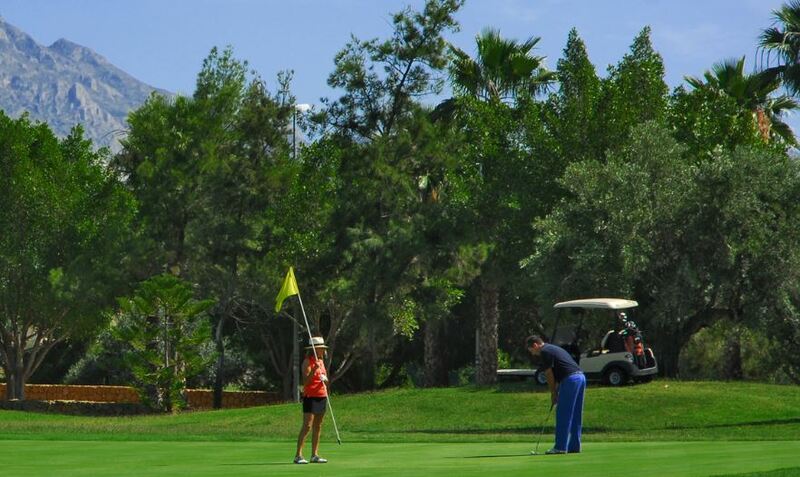 We ensure that you enjoy a most pleasant stay practising your favourite sport, thanks to the great location and our excellent, tailor-made services for golf lovers. At the Hotel Bonalba Alicante, you can enjoy a relaxing time in a privileged environment. Enjoy our vast themed swimming pool surrounded by a tropical garden, Mediterranean cuisine, our beauty centre and Spa area. Additionally, every Saturday we hold gourmet and romantic dinners with live music in our Rose Bud Pub. The Hotel Bonalba Alicante is the highest rated hotel in the area, maintaining top quality standards. Our hotel is ideal for couples looking for a relaxing weekend break, families who look for a hotel with entertainment activities for children, or golf lovers who value the proximity to a golf course. Our priority at the Hotel Bonalba is to provide an unbeatable service and exquisite cuisine to this end we have various restaurants, buffet and a la carte. We use fresh local produce in our refined Mediterranean cuisine. Bonalba Golf is located on the Bonalba mountain (Sierra de Bonalba). It’s situated barely 330 yards away from the Hotel Bonalba Alicante. 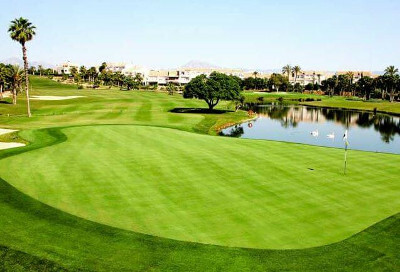 It’s an outspread course surrounded by abundant vegetation and green areas. 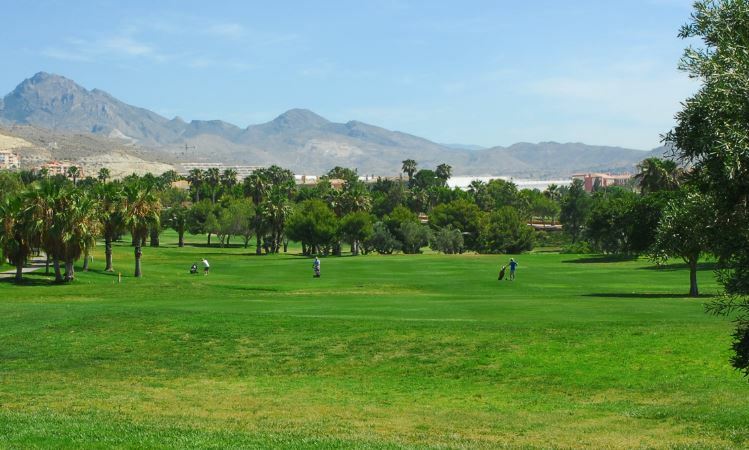 Thanks to its typically Mediterranean vegetation, the natural environment of the Bonalba golf course is the ideal place for golf lovers of all levels. We have a full driving range with 25 mats, bunker, 2 greens and pitch&putt named hole 19. The area is illuminated and allows practice until 22:00 h.
The hole 19 is an excellent practice area consists of 6 tees converging on the same green with 3 holes. It is ideal for beginners and experts who want to practice the short game. 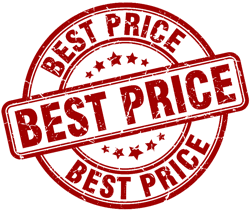 Rent for a limited time, during which it is not concerned by anyone else. 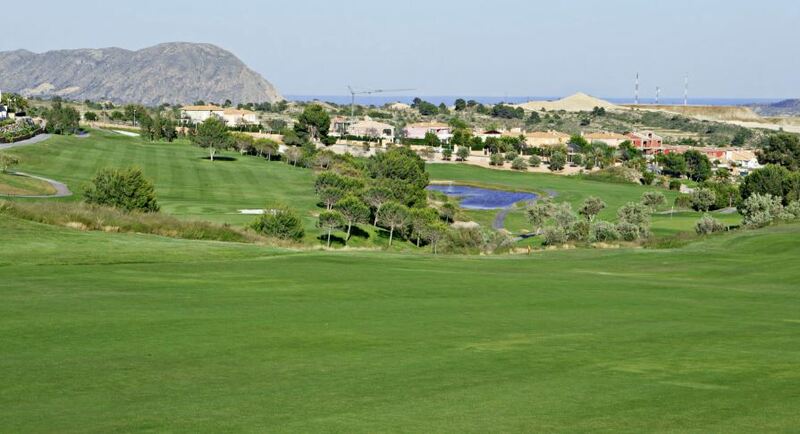 The Levante Golf Course par 72 is American style with wide fairways and exquisitely shaped greens over 6576 meters long enjoys wonderful views of the Mediterranean Sea and the Sierra de Finestrat. 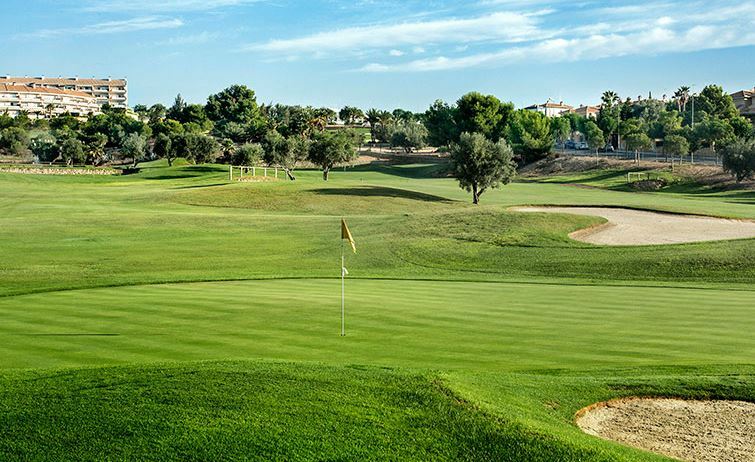 The “Championship” Course, or “Levante”, is a wide and long par 72 course measuring 6576m., with 5 different tee markings per hole. It is an American style course with 106 bunkers, located in an ideal place as with all Nicklaus designs. It is complemented and decorated with 3 great lakes.